Towards the end of 2012, I signed up for the Secret Santa on the Rocketry Forum. During the course of the event, names were swapped and everyone posted off a gift to someone else. 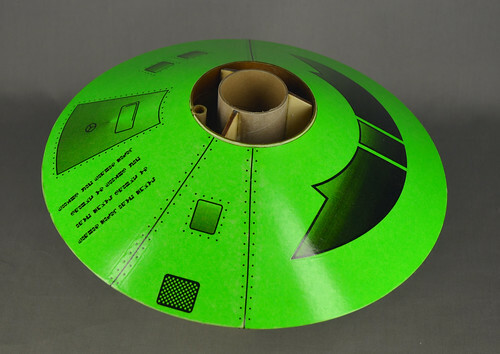 My secret santa arranged for one of Art Applewhite's 10" Clustered flying saucers to be delivered under my tree! A little while ago I started work on the saucer. 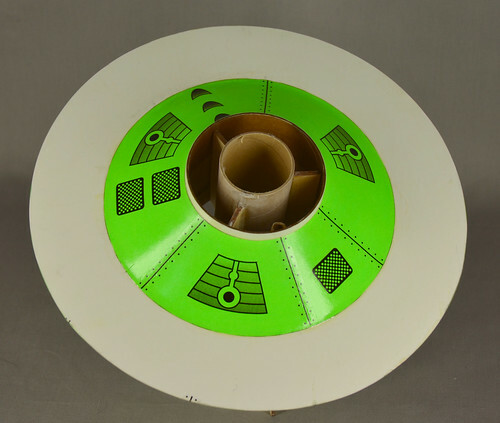 The kit comprised of a sheet of foam-core board, some bright green paper and a good selection of tubes. The build was straight-forward and the bulk of the build was completed in a couple of evenings. I didn't document the build. Three interchangeable motor mounts are in the kit - 3 x 24mm, 29mm and 38mmI can't wait to fly this! !